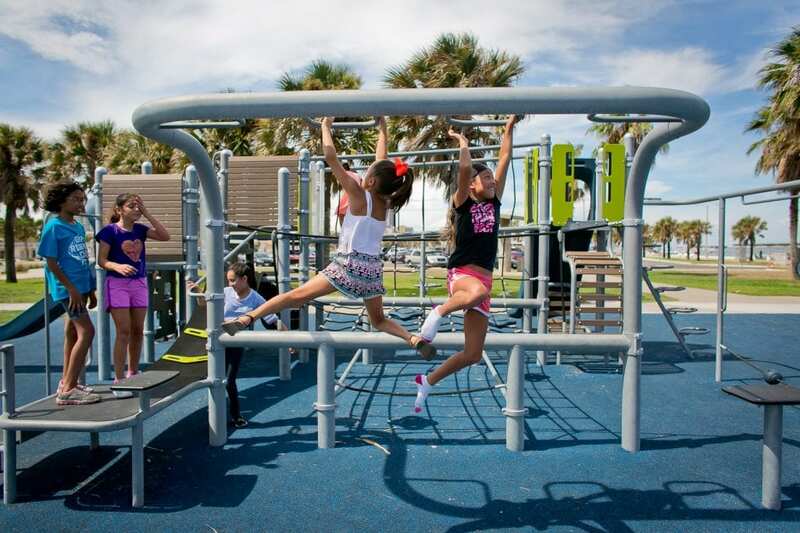 The cool aesthetics of Hot Dip Galvanized (HDG SERIES) steel offers a fresh look for your playground. Its distinctive zinc patina gradually takes on a uniform matte gray appearance, blending in well with the styles of many different play environments — urban, sculptural, modern, industrial and more! Also, if you happen to live in a coastal area, this durable finish provides an extra level of protection against the harsh elements. WHAT IS HDG SERIES by Landscape Structures? 1. Uniform Protection — No weak points to accelerate corrosion. 2. Complete Coverage — Coating protection both inside and out. HDG steel is available on the Venti®, Global Motion® and the Oodle® Swing! Venti® HDG packs 20 exciting activities into its compact size! Nets, slides, belts and climbers provide lots of fun and challenges that promote physical development and strategic thinking, while also creating hangouts where kids can take a break and connect with others. With multiple entry points and plenty of activities, this accessible playstructure can accommodate a whole class at once! Read more on the Venti® HDG here! 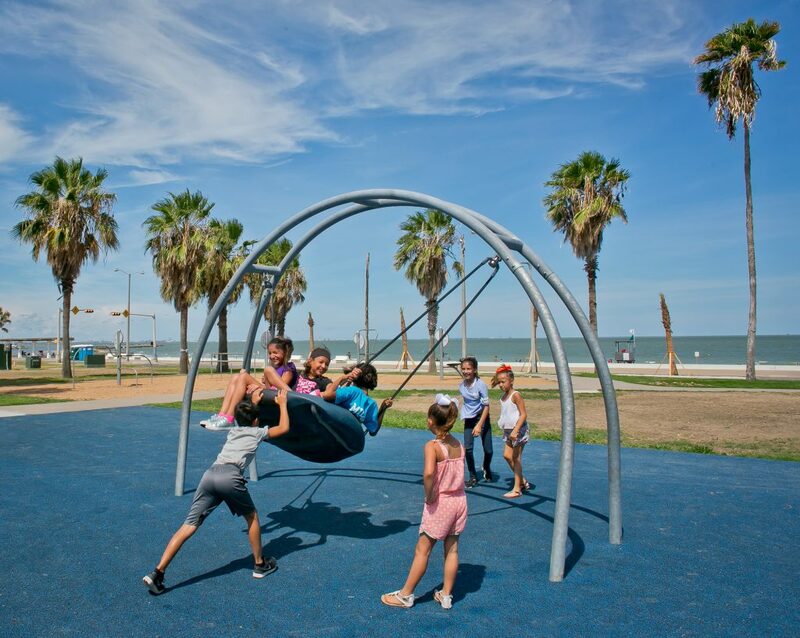 The Oodle® Swing HDG provides interactive fun for oodles of kids! Read more on the Oodle® Swing HDG here! 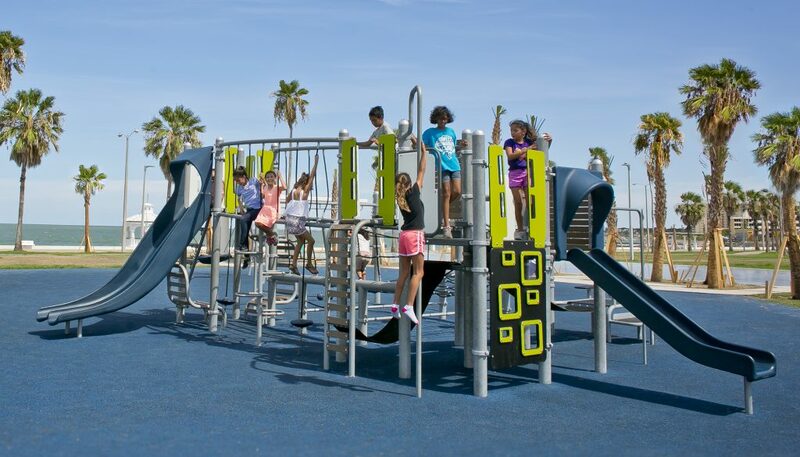 Add a unique play experience to your playground with Global Motion® HDG. 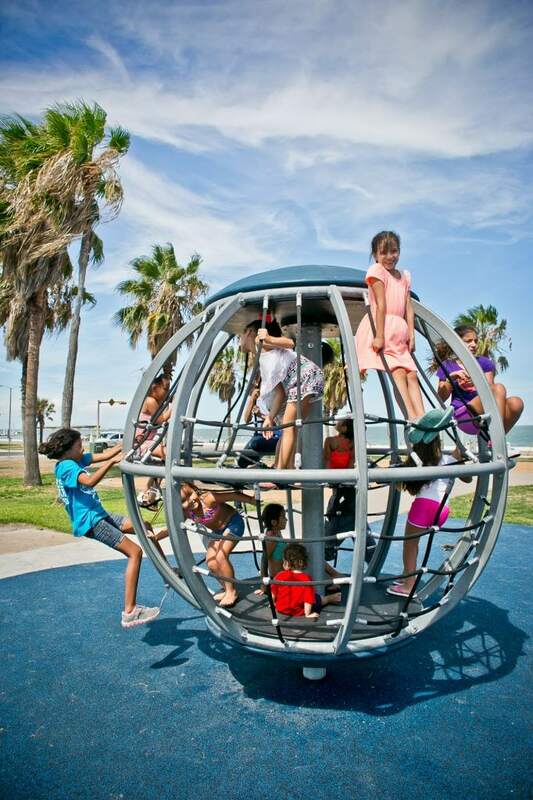 Kids can climb, rotate, and explore two levels in this fun-filled structure. Patent-pending progressive resistance makes it easy to turn Global Motion HDG at slower speeds, and prevents it from being turned too quickly, providing a fun and challenging experience while still feeling safe and in control. With 14 nets that can be climbed on the inside or outside and two multi-person seating areas, Global Motion HDG provides thrills for many kids at once! Read more on Global Motion HDG here! Click here to request more information on the HDG Series Play Equipment.